New cannabis startups are changing the way we enjoy weed. The legalization of cannabis has sparked a brand new, booming industry. Startups in "legal states" are now becoming increasingly common, and among them are some seriously impressive innovators. The following companies currently rank among the best new cannabis startups to watch for this year—and we can't help but be impressed by their ingenuity. If you are like many other pot aficionados, then you probably love the idea of having cannabis-infused oils for cooking, baking, and other uses as well. Levo Oil is a new cannabis startup that allows you to infuse your own cannabis oil with ease, and more impressively, also gives you the chance to use their machines for regular oil infusions as well. Cooking with cannabis just got a lot easier for many of us, and that's why we're calling this one of the best new cannabis startups out there. Jane West is not looking to reinvent the wheel, but they are looking to reinvent the way that you experience cannabis. This highly fashionable cannabis startup is focusing on bringing cannabis consumption to a new, more upscale level. Along with making absolutely beautiful cannabis accessories, Jane West also works to educate the masses about the perks of medical marijuana. Their mission and their top quality work is what makes them one of the best new cannabis startups to watch. Many states are now allowing you to grow your own cannabis, and if you're like many people out there, that's a great way to save money on your smokeables. The problem is that there are plenty of us that don't have green thumbs or just don't really have good luck with plants. Leaf is one of the best new cannabis startups for people who want to grow but just don't have the talent to grow marijuana the old fashioned way. They take out the guesswork by offering a discrete plug-n-plant system that does the work for you, keeps your weed stored, and lets you enjoy the benefits. This is one of the best new cannabis startups for people who don't particularly like the act of smoking, but love the high from edibles. Pot O Coffee allows you to enjoy cannabis flavored teas through cannabis infused K-Cups. If you have a Keurig machine and a coffee mug, getting high just got a lot more discreet — and way less smoky. It's worth noting that medical marijuana still will give you benefits, even when it comes in tea form. Releaf is the perfect app for people who have to remind themselves to take their medical marijuana breaks. Cheekily named and easy to use, this app was launched by one of the best new cannabis startups in the world. It's medical in nature, yes, but it's absolutely crucial for many of us who rely on ganja to stay pain-free. Expect to see this app spread like wildfire among those who require medical marijuana on a regular basis. Taking a cue from Birchbox and other famous subscription services is Potbox, a subscription marijuana delivery service. The way it works is simple: you subscribe, and then you get premium marijuana delivered to your door on a regular basis. 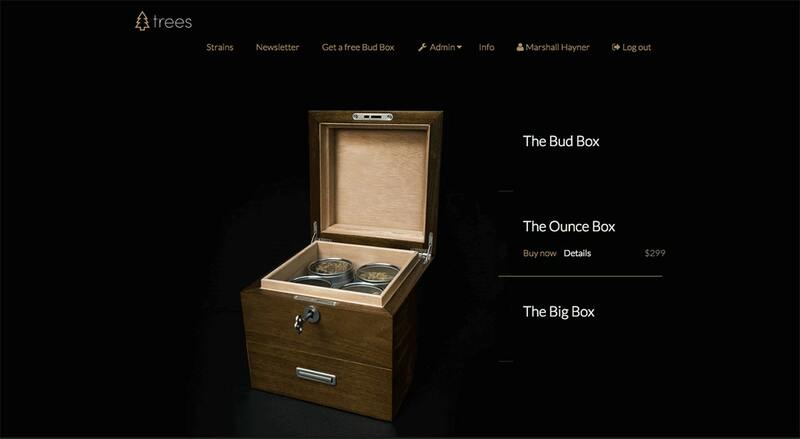 As the legalization becomes more widespread, we're expecting to see Potbox explode in profit. As of right now, it's one of the best new cannabis startups that involves connecting medical marijuana users to great product. Right now, it's only available in two cities — but that's slated to change soon! Confident Cannabis is one of the newest, hottest cannabis startups that focuses in on ensuring quality in the medical marijuana industry. This lab-approved company helps keep solid numbers behind the cannabis growing industry and works as a quality control company. Needless to say, this startup will probably find a place in the pharmaceutical industry in the next couple of years. Meadow MD is a company that helps medical marijuana users connect to local dispensaries and get the pot they need delivered right to their door. More impressively, this company works to connect people in need of a medical marijuana card with doctors who will look them over in good faith and hopefully supply them with a card. For people in California that want to get medicated with a natural herb, this is one of the best new cannabis startups to watch. Many people are beginning to get very worried about government surveillance of drug users. TokeToMe is an encrypted messenger app that's about giving people a platform to chat without having to worry about government officials getting too nosy. Fans of heavy privacy will find TokeToMe to be a breath of fresh air. Bud+Breakfast happens to be one of the best new cannabis startups focused on the budding cannabis tourism industry. Here, people get to book marijuana-friendly hotels, bed and breakfasts, as well as individual rooms in peoples' homes at low prices. Some hosts even give complimentary buds and supply kits to travelers, so if you're looking to sample legal goodies while in-state, this is a superb service to try. Arguably something that should have been made years ago, Duby is an anonymous social network that is made for people who enjoy marijuana, want to discuss cannabis, and possibly link up. Users get rewarded for popular posts, and private messaging is always doable with Duby. Among party apps, this is definitely one of the best we've seen yet. Grobo is one of the most aesthetically pleasing hydroponic grow boxes we've seen in a while. The entire concept behind this startup's product is to create a hydroponic grow box that people can easily use — and that won't look like the ramshackle eyesores of an illegal growing operation. Among people who love hydroponics as well as those who just want to enjoy homegrown marijuana, this will be one of the best new cannabis startups to look into. After all, who doesn't like fresh bud? 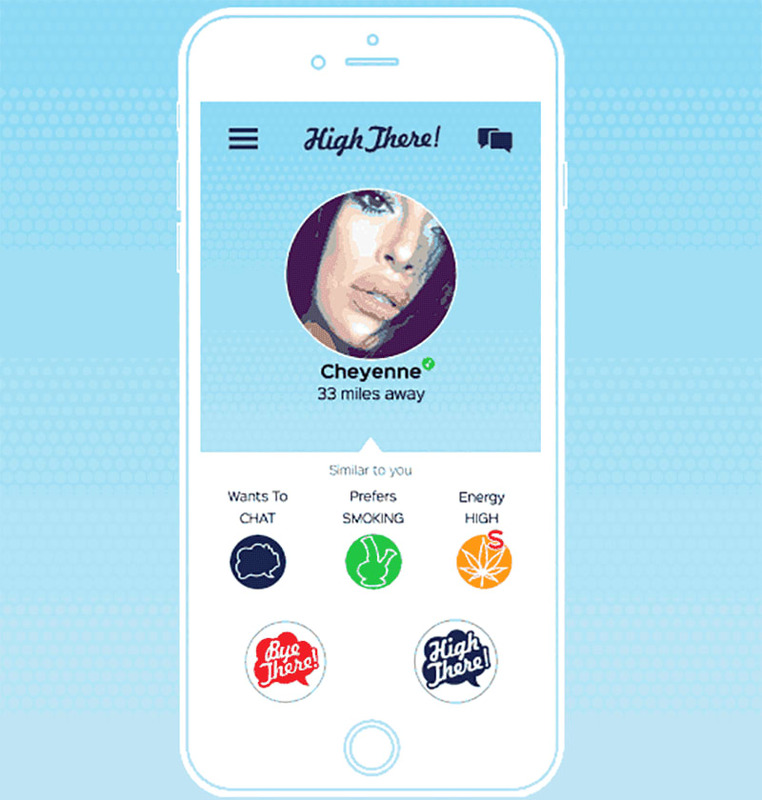 High There calls itself the "Tinder for Cannabis Lovers," and it doesn't take too much to see why. This entire app is all about getting people to link up through their love of marijuana — medical or otherwise. Its intuitive layout and warm community will definitely be a hit among potheads within the next couple of years. Trees is a marijuana site that works to be the best delivery-focused marketplace for medical marijuana in the country. As of right now, they only have a handful of different offerings, but the startup is currently working to expand to a huge number of different strains, accessories, and more. With its promising layout and backers, we wouldn't be surprised if this site will become one of the most visited in the country. Billowby has already earned a very solid reputation among potheads for having some of the best smoking supplies and accessories on the market. Artisan bongs, beautifully crafted pipes, and some of the most elegant smoking accessories on the market have made it a favorite among cannabis accessory buyers who want to make a statement with their supplies. Right now, the site is going through a massive boom in terms of both buyers and sellers. Needless to say, this is one of the best new cannabis startups to watch if you want to look at the hottest trends in smoking gear. Good Co-Op makes delicious, mouthwatering edibles with medical-grade marijuana. For those of us who can't cook but adore having a plateful of THC-infusing brownies, this startup will definitely be a lifesaver. Everyone loves edibles, so do we really need to say anymore? Cannabis can easily lose its potency and flavor if it's stored improperly, and most cannabis aficionados already know this. Cannaseur is a startup that helps people make the most of their marijuana stash by keeping it in the best possible conditions. The Cannaseur storage system allows you to store marijuana longer, which in turn means that your stash will last longer and will be less expensive to maintain. For pot hoarders, this is one of the best new cannabis startups to follow. Read next: Why Is Weed So Popular In America? Ice Cubes in Your Bong: Yes or No?